PURE GRENADA or is it POOR GRENADA? When the Hon. Chester Humphrey, President of the Senate made the recent pronouncement in the Senate, that the Police should be relocated from Fort George in order to restore the fort to its former glory, so that it would become the premier tourism site in Grenada — it was like music to the ear to the Foundation and to other heritage organisations, who have been previously advocating for it’s removal, and that at last, the powers that be would convert the rhetoric into positive action. 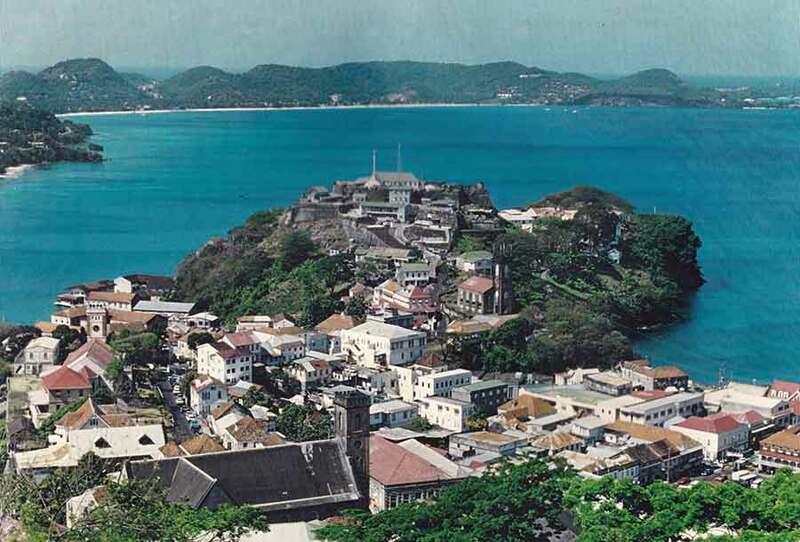 In a recent Sentinel article (New Today and Grenadian Voice dated 23 October 2015 and Grenada Broadcast) entitled “FORT GEORGE — GRENADA’S PREMIER TOURISM SITE”, mention was made of the necessity to have the non-conforming buildings, that are not part of the original fort be removed and the original buildings restored in order to achieve this end. In 1988 CARIMOS, the Cultural Arm of the Organisation of American States (OAS) described St George’s as a “monument of the wider Caribbean”. 27 years later, with the absence of Local Government, neglected by the central government, through it’s parliamentary representatives, the large number of derelict and abandoned buildings, the apparent lack of incentives to have business houses and local residents undertake a clean-up and facelift, which was not even attempted in 2010 when the tricentennial of the town was celebrated; St George’s in 2015 in the Sentinel’s view, can no longer lay claim to the OAS designation as “a monument of the wider Caribbean”. The pronouncement by the Senator however, gave a glimmer of hope to Heritage Organisations that the restoration of Fort George would serve as a catalyst to upgrade our Capital City, even as the possibility of a UNESCO recognition seems unlikely. That notwithstanding , there is however a distinct possibility that the fortifications around the town of St George (Fort Matthews, Fort Frederick, Fort Adolphus, Old Fort), could be a UNESCO heritage project beginning with the restoration of Fort George. But lo and behold the Foundation’s representative on the Natural and Cultural Heritage Advisory Committee (NCHAC) of the Physical Planning Unit was informed at a recent meeting by the Chairman of the Committee, that he was advised that cabinet has given permission to a developer to construct a zipline or cable car system from Mt Wheldale over our Capital City unto Fort George. The question is, what enhancement and or benefit — economic, aesthetic, environmental or otherwise, is this project to the people of POOR GRENADA and to the residents of St George’s in particular? What is very alarming is that there are well established procedures in our LAWS to follow, in granting permission for physical development projects, which are being ignored by the powers that be; the erection of the Chinese pagodas at Grand Etang is another recent case in point, where the Planning Authority was not aware of their construction, and “Pure Grenada” was aghast at this inappropriate (national) occurance. What is even more confusing is that a revision of Grenada’s constitution, which is our supreme law is being pursued and the initiative to undertake a “Grenada Sustainable Development Plan 2030” has begun, while at the same time decisions which appear to be in contradiction to these initiatives are being advanced, by the same institution. All of the above appear to indicate the absence of a comprehensive, cohesive and unified strategy — A VISION — for Grenada in the 21st Century. This deduction is plausible when considering that on one hand there is the call that Fort George should be developed into a premier tourism site by restoring it to its former glory as stated above, while another (the Cabinet) has given permission to erect an aberration on the Fort to accommodate a developer who cannot have the best interest of our Capital City and by extension — GRENADA at heart. If the initiative is successful, in having the fortifications around the Town of St George become a UNESCO nominated site(s), this would have enormous economic and cultural benefits to Grenada, just as Barbados has achieved; erecting another uncompromising structure on Fort George to accommodate a Zip line or cable car system would destroy the town’s historic ambience and indicate to UNESCO and the international cultural community that Grenada is not interested in becoming a member of the World’s Cultural and Heritage Community by appearing undesirous in offering humanity a glimpse of our capacity in making meaningful contributions to our evolving Grenadian and by extension our Caribbean civilization.